Like A Home Away from Home; Our Budget Blue Tongue Backpackers is Located Centrally here in Brisbane, Australia! We are Located in Fortitude Valley, only a Short 5 Minutes to the City Central & Southbank Areas. If you are arriving from the Airport, go to the Info Desk as you come through the gates and find the kiosk for CoachTrans. Closest Train Station is Brunswick St Station. Come out of the Fortitude Valley Station and turn Left, head up the Brunswick St Mall, Blue Tongue Backpackers is approx. 4 blocks or 10 minutes on the Right Hand Side of the Street. Front & Back Entrance with LIMITED FREE PARKING for your Convenience. You can jump on the local bus 199 to New Farm, That Will Drop you Right at our Door Step! Jump on the Bus to Brunswick St. in the Valley and we are 515 Brunswick Street.. Located Centrally Fortitude Valley & New Farm. 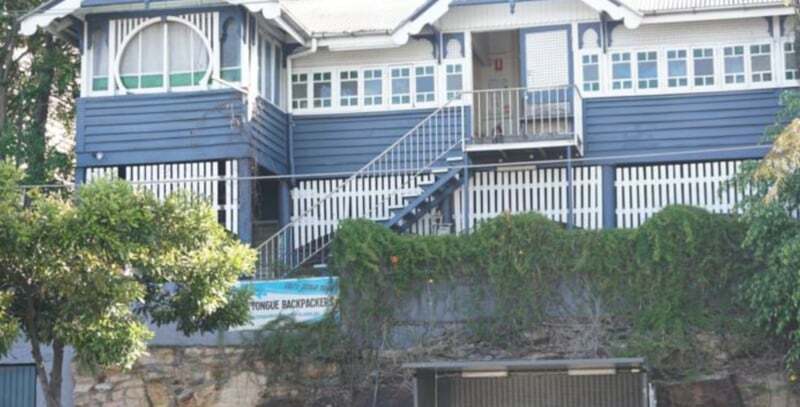 Close to China Town, Valley Markets, Brisbane Powerhouse, City, Story Bridge, New Farm Park and Brisbane River; All Close Walking Distance.Close to Public Transport (Bus Stop to City/West End at the Door) and on the Same Street As the Fortitude Valley Train Station, About 7 Minutes away. Top Nightclubs and Main Brisbane Party District is just 5 mins walk including Family, The MET, Cloudland & Birdees; But far enough away to get some Snooze! ONLY GENUINE INTERNATIONAL BACKPACKERS ACCEPTED. MINIMUM AGE 18 ***Please Note late arrival**** IMPORTANT READ ME! Please email us directly if you are arriving outside reception hours. (7pm Monday – Saturday and 1.30pm Sunday) ****If you are arriving late or after reception closes after 7pm Mon - Sat 1.30pm Sun. Then your booking will need to be charged in full and keys can be left for you. Please contact us for instructions and procedures if you are arriving outside reception hours to avoid disappointment. Check-in is between 3pm to 7pm (please let us know if you will be arriving after 7pm and your payment will be processed and keys left in night box for you) Check-out is 10am Due to heat and pest control we ask that you DO NOT eat, drink (only water allowed), smoke, use drugs or bring in exposed and infected camping equipment of any sort into your rooms. Please confirm expected time of arrival on booking and PLEASE INCLUDE a Mobile number in your reservation. If you are delayed due to transport than please advise immediately. Invalid Credit Card details will result in cancellation of booking. Dorm room bookings - bookings of 2 or more guests are NOT guaranteed to be in the same dorm room.We will do our best to accommodate BUT is dependent on availability.